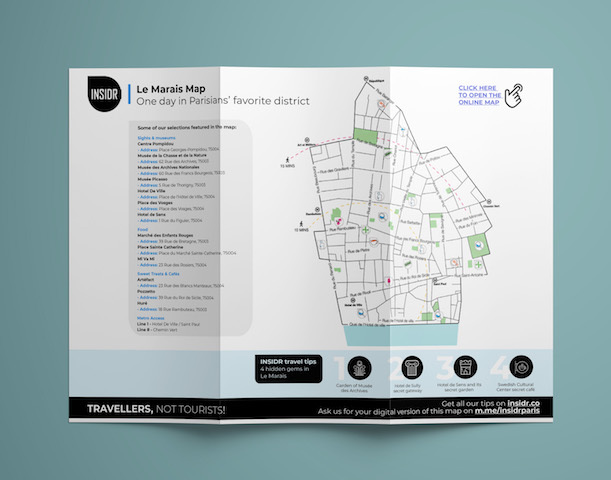 Download our Le Marais Paris Map here! Le Marais is the neighborhood in Paris you cannot skip during your visit as our Le Marais Paris Map will prove to you. The area is so reminiscent of old world charm but at the same time keeps bringing you back with its modern sensibility. It’s where you have the chance of walking away with the best fashion finds, be it high-street fashion, by a local designer, or even vintage! Not only is it the place to be for fashionistas, it’s the part of the city that’s dense with bars, restaurants, jewellery shops, art galleries and museums. You’ll even find nice green spaces here like Place des Vosges. So do you see now what the hype about Le Marais is all about? Our Le Marais Paris map will show you around the hippest neighborhood in Paris and why travellers and not just locals have been so drawn to this area! What is in your Le Marais Paris map? 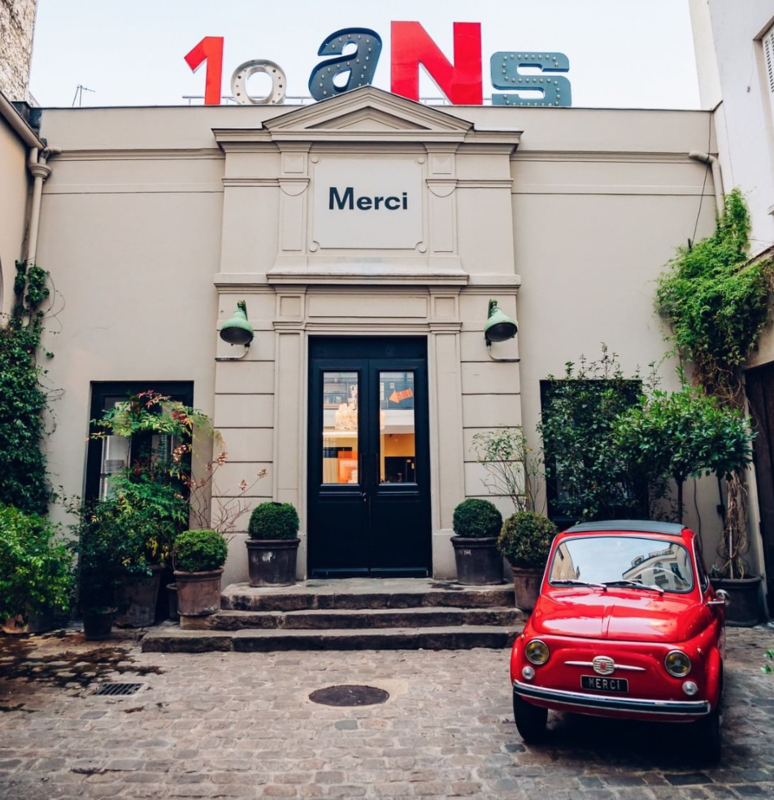 10+ recommendations of the must-see sights in Le Marais, including top sights, hidden gems, local favorites for food and shopping. Download it, print or save it your phone. We also have a digital version available online and offline: download the map to access it! Perhaps the only building in the center of Paris that truly stands out above the rest is the Pompidou Center. The building is designed in the style of high-tech architecture by the architectural team of Richard Rogers and Renzo Piano, along with Gianfranco Franchini. It houses the largest modern art museum in all of Europe, Musée National d’Art Moderne where you can expect to see thought-provoking art. You may also access the Public Information Library which is free and open to everyone for a visit. Do you want to see something a little different from what the other art museums are putting on display? Musée de la Chasse et de la Nature is a private museum of hunting and nature. 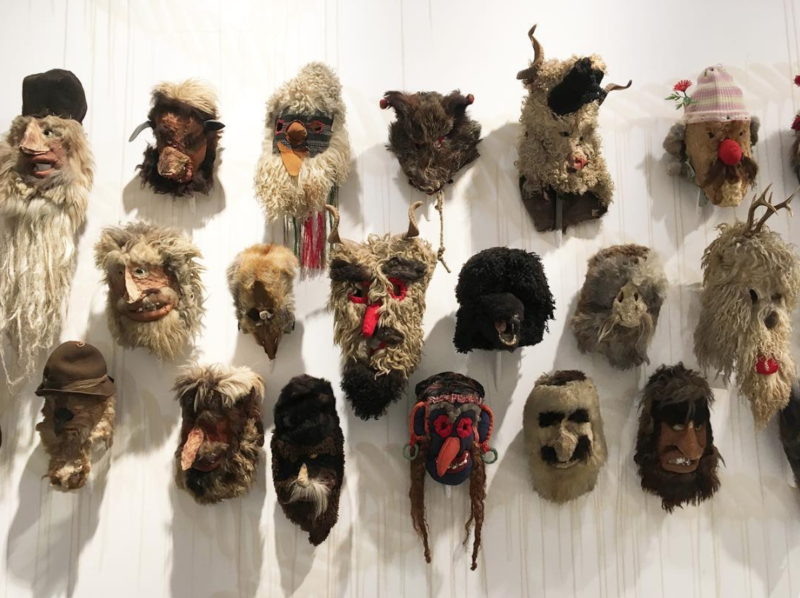 The museums aims to exhibit the relationships between humans and the natural environment through the traditions and practices of hunting. This museums is also described by many media as quirky, astonishing, and eclectic! Musée des Archives Nationales features exhibitions that display the different collections of the French government archives. Here, you can expect to see a lot of official documents and maps that tell the history of the French Republic. The collection has objects dating back to the first century A.D.! Established in a beautiful private hotel in Le Marais is the Picasso Museum. The museum includes more than 5,000 works and thousands of archive pieces. It is the only public collection in the world that allows you on a journey following the creative process of the artist. You’ll find not only Picasso’s paintings but tons of his sketches, studies, and documents as well. Hôtel de Ville is where you’ll find the city’s local administration. In many ways, it serves as Paris’ City Hall. Now why would a boring old government building be included in our Le Marais Paris Map? We invite you stand right outside the building and be awe-struck by the magnificent architecture that dates back to 1357! 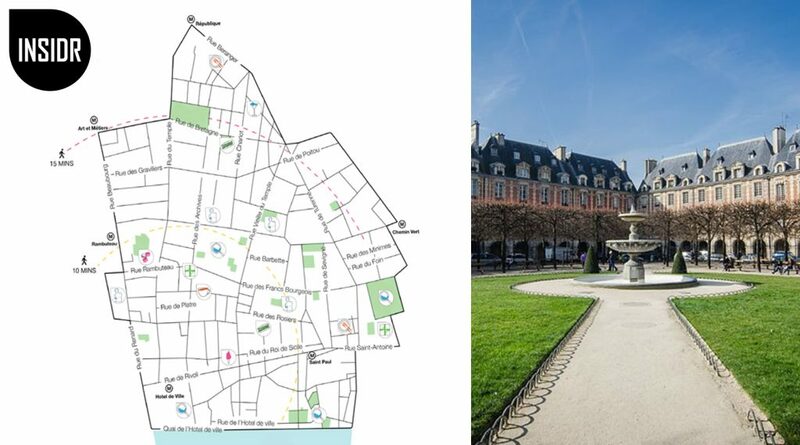 Places des Vosges is the oldest planned square in all of Paris. You’ll find that the surrounding buildings appear more interesting than the common Haussmann ones. 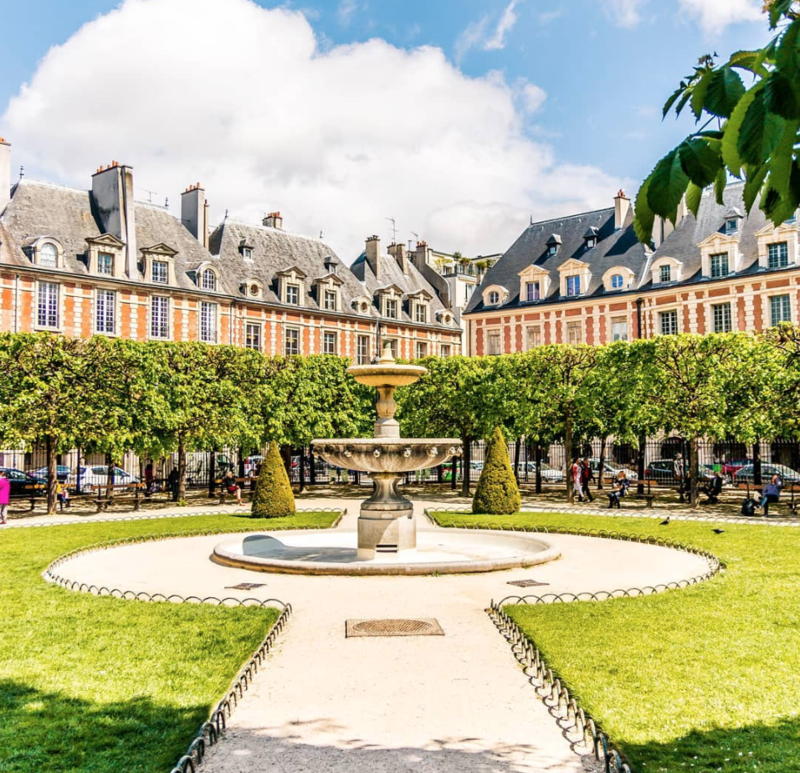 Back in the day, only the Parisian nobility could afford to live around the square and it is said that Place des Vosges is the reason for the fashionable nature of Le Marais. Today, you can enjoy walking around the square and people-watch the chic Parisians in it. Get all our best Paris local tips on our visit Paris travel guide. Hôtel de Sens is a medieval private mansion in Le Marais. This beautiful timestamp in the city as been marked as a heritage site and now houses the Forney Art Library. The art library’s collections are dedicated to the decorative and graphic arts as well as fashion, advertising, and design. Get your Le Marais Paris map right here. Check out our other free travel guides about Paris! 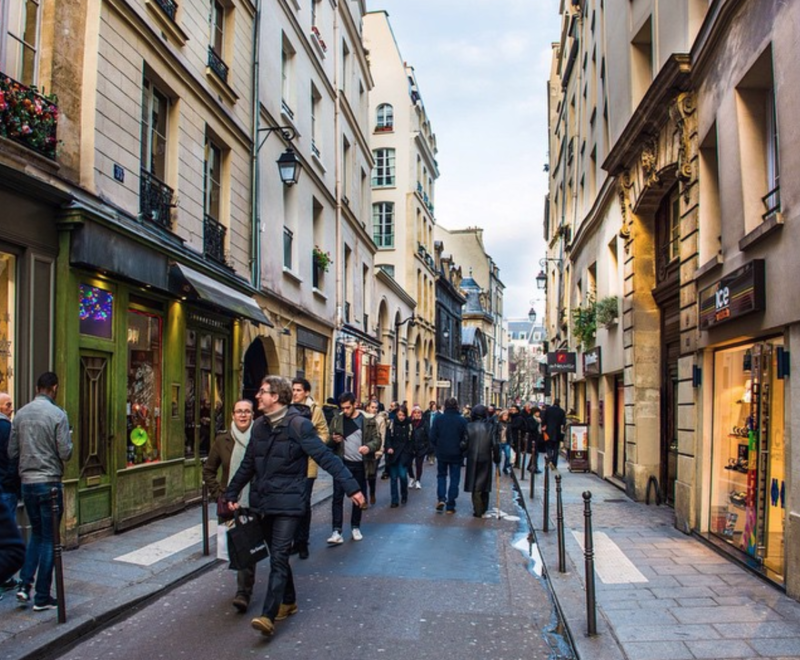 Probably the main thing Le Marais is known for is shopping. This is where you go if getting dressed like a Parisian is what you aim for. The shops of Le Marais are spread out across the 3rd and 4th arrondissements of Paris but we’ve got a couple of spots we’ve included in our Le Marais Paris Map that cannot be missed, especially for first-timers. This street is probably the best street to go to if you’re seriously looking to shop for fashion and accessories. You’ll find a great mix of French and international brands on this street. Some of our favorites are: Claudie Pierlot, The Kooples, and Bimba Y Lola. This is another fantastic street full of chic boutiques! Start walking from the corner of rue Bretagne and keep going down the street. You won’t only walk past a number of hight-street fashion boutiques like APC, Eres, and Maje, you’ll also happen by a lot of local restaurants and cafes! 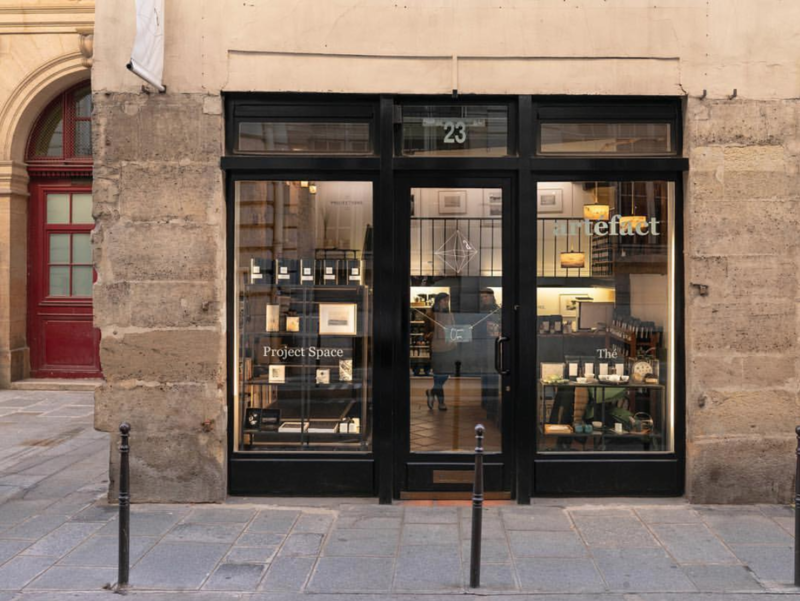 It would be easier to answer the question “what isn’t being sold at Merci?” This concept store in Le Marais has everything from high-street fashion and accessories to kitchenware. It’s the perfect place to go shopping with friends and family because it’s almost a guarantee that each on of you will find something that you’re interested in. We also love the visual merchandising here that changes every season according to a theme! Not only your eye for fashion is satisfied when you’re in Le Marais, your stomach will also be content with all of the restaurants in the area. As you walk around Le Marais, you’ll find that the food options here are very international and the restaurants here are just as stylish as the surrounding shops. 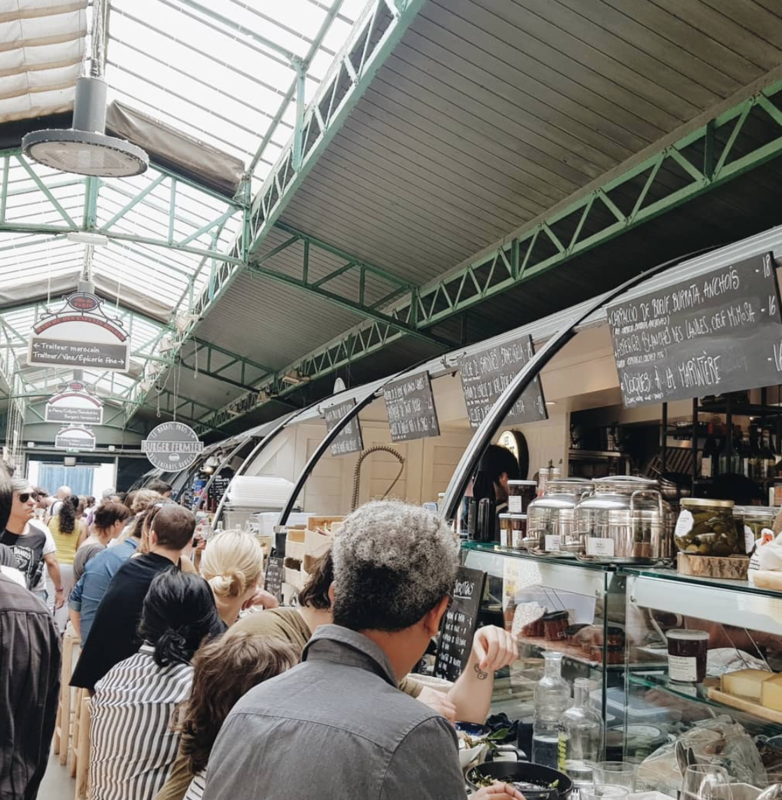 – Marché des Enfants Rouges is Paris’ oldest food market. If you’re not quite in the mood for a proper sit-down in a restaurant, we suggest coming here. You can buy a wide variety of fresh French produce like fruits and veggies. This is also the place for lunching on delicious Moroccan couscous on a communal table where you can engage with locals! – Place Sainte Catherine is a square in Le Marais that is surrounded by very Parisian restaurants. With that said, you’ll find different interpretations of French food as well as Italian, Japanese and even Thai! – Candelaria is a down-to-earth taco joint by day, speakeasy cocktail bar by night! And we love coming here for for those 2 reasons. They churn out authentic Mexican tacos that give a bang for your buck that are perfect for lunch. After you’re done walking around the Marais, come back at night for a specialty cocktail you’ll surely love. – Mi Va Mi is arguably the only fallafel restaurant that can rival the famous L’As du Fallafel on rue Rosiers. You’ll also find that this street is very representative of Paris’ Jewish community. – Artéfact is a tea boutique that specialises in rare teas from historic as well as newly implanted tea farms from all over the world. Apart from being a tea cafe, it also hosts exhibitions of contemporary, emerging artists and designers. – Pozzetto in Le Marais is where you go for delicious gelato! This take-away ice cream spot is perfect for grabbing a cold one and continuing your tour of Le Marais. We recommend either the classic Gianduia Torinese with chocolate and hazelnuts or the Pistacchio flavor whose ingredients come all the way from Sicily! – Huré is the bakery to go to in Le Marais if you’re in the mood for some delicious carbs. We love the palmiers that are so cripsy and perfectly sweet! If you’re looking for something that’ll lost you longer, the bakery also has a selection of sandwiches. To find all of the addresses of these cool spots, download our Le Marais Paris Map right now! More INSIDR Paris travel tips! We’ve published a few other free guides that will help you make the most out of your time in Paris! 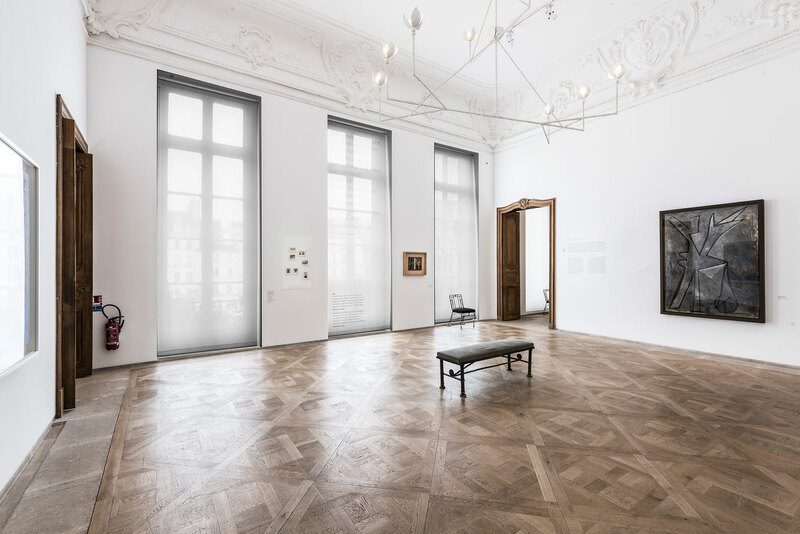 Our Paris Museums Guide will tell you about the best museums and exhibitions in Paris right now. We’ve got the Paris Shopping Guide that is full of information on where to shop in Paris for specific things you’re looking for. 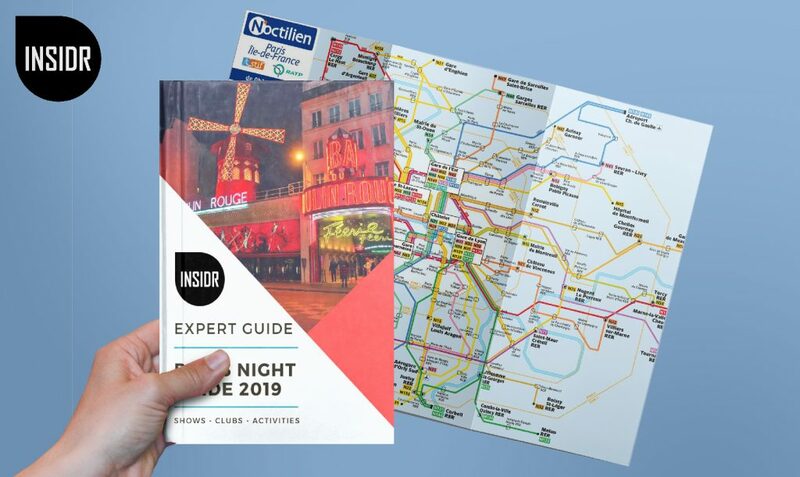 The Paris by Night Guide show you a great list of restaurants, bars, clubs, and entertainment venues all over the city! You liked our Le Marais map? There are more free INSIDR Travel ressources for you! 1- Other INSIDR neighborhood maps ! 3- INSIDR free travel guides!